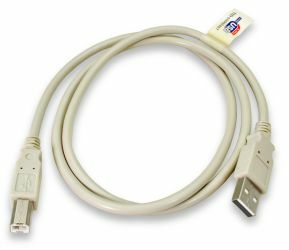 Use a USB 2.0 cable to connect your USB devices and peripherals to your PC or USB Hub. This cable has a USB type A Male connector, which plugs into the PC or Hub, and a USB type B Male connector, which plugs into your USB device. These cables are compatible with USB 2.0 standards and backwards compatible with earlier standards. Cable color is white.